Following last years announcement in December that the export tariff was going to end on the 31st of March 2019, the government has announced a new export tariff guarantee. Following a consultation and call for evidence published in July 2018 to identify the role small-scale generators play in clean energy growth the “Government believes there is merit in exploring possible arrangements for the small-scale low-carbon generation sector after the closure of the FIT scheme. The Smart Export Guarantee (SEG) will see small scale generators paid for the energy that they export to the grid. 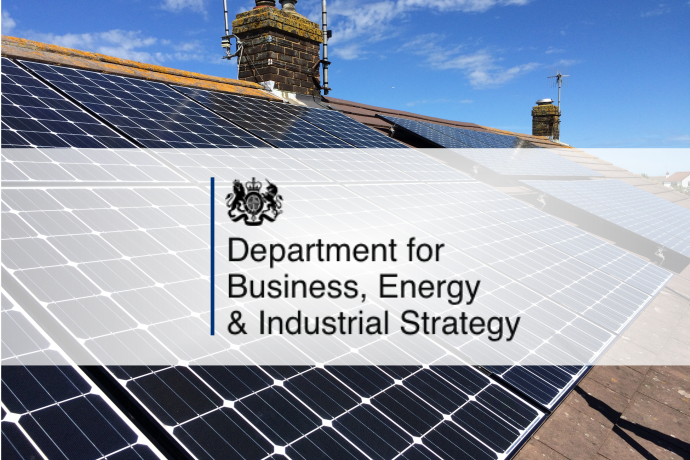 This news has been welcomed by the solar industry which was expected to be hit hard by last years announcement, but has been received with caution. The proposed SEG means that large energy suppliers (energy companies with more than 250,000 customers) will have to offer at least 1 tariff, any tariffs offered will have to be greater than zero, suppliers will not be eligible to recover any costs by charging consumers at the times of negative pricing. However suppliers will be able to determine the length of the contracts offered. The structure of exactly how this tariff will work, and how to introduce it forms part of the consultation. BIES has said that “the smarter the better” is its vision for the tariffs. All technologies currently eligible for the FIT tariff will also qualify for the SEG, with an upper capacity of 5kW. All energy exported to the grid must be metered, it cannot be deemed. Essentially there must be a smart meter installed. The meter used must be capable of metering half-hourly export amounts. The installation must comply with the Microgeneration Certification Scheme which is currently in place. This includes using MCS certified products, and installed by an MCS certified installer (all installations up to and including 50kW). The consultation is open until the 5th of March 2019. The full government document can be read here, and responses can be made online here, or emailed to futureofsmallscalesupport@beis.gov.uk. Initially this comes as good news, although the finer details of the consultation will be key to its reception by the industry. Allowing suppliers to set the tariffs could lead to unfair remuneration of exported electricity, this should be set at a fair market rate. Chris Hewett, chief executive at the Solar Trade Association says “Positively, the government again identifies the System Sell Price as accurately reflecting the market value of power spilled to the grid. However, the consultation acknowledges many of the market barriers we have raised with government and the associated costs. More reactions from the industry can be read on the Solar Power Portal website.